Do you have a passion for providing the best customer service? Are you interested in endless possibilities and career opportunities? 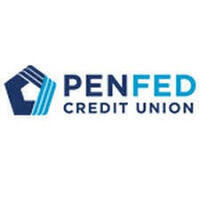 If so, we'd love to talk with you about our Member Service Representative position at Penfed Credit Union in Eugene, OR. We're currently hiring part-time Member Service Representatives to start with us this summer. Come speak with our PenFed Talent Acquisition team and learn how you could work for one of the country's largest credit unions and help our members realize every ounce of their potential. Starting pay: $13.46-$16.28/hour plus additional benefits.